She began her writing career as a poet, publishing her first book Bárány ("Lamb") in 1947, which was followed by Vissza az emberig ("Back to the Human") in 1949. 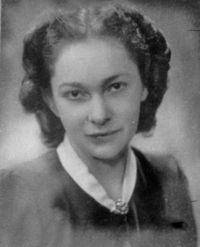 In 1949 she was awarded the Baumgarten Prize, which was--for political reasons--withdrawn from her Magda Szabó was a Hungarian writer, arguably Hungary's foremost female novelist. She also wrote dramas, essays, studies, memories and poetry.